Melasma is a sort of common brown patch, tan, or blue-gray discoloration on the face. This is usually seen in women running in their reproductive years, that is, women under 20-50 age group. It appears commonly on upper cheeks, upper lip or forehead region. It is not that common in men. Reasons behind this are external hormonal intakes like birth control pills, external sunlight, or internal hormonal changes that occur at the time of pregnancy. It is most common among women of Latin descent and Asian women. 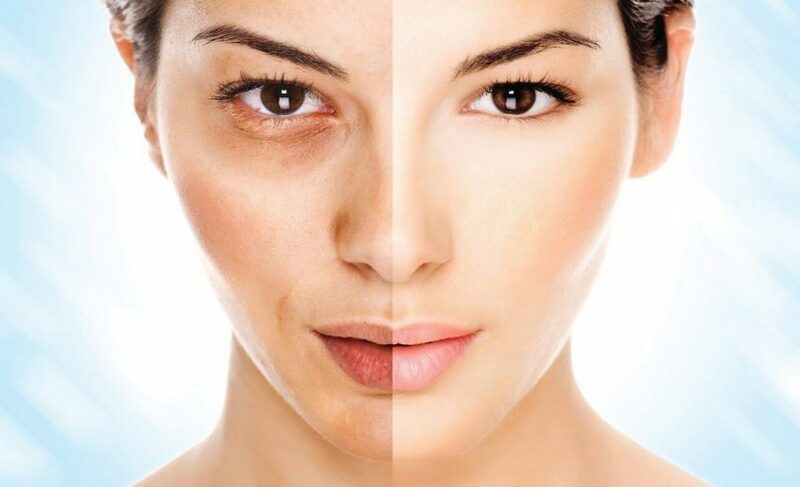 Those who have olive skin or little darker skin have a greater tendency to have melasma on their face. When it comes to treatment, it concentrates primarily on sun protection and sun avoidance. Treatment of melasma on the face requires regular application of sunscreen, medication like 4% hydroquinone and other facial peel masks. There are four types of melasma discoloration, being, dermal, epidermal, mixed and an unnamed type which is found on the dark-complexioned skin. It is diagnosed by recognizing colored patches on the forehead, cheeks and upper chin. In most cases, mixed melasma is found by the dermatologists. Some most common treatments of melasma on the face are 2% hydroquinone creams and 4% creams. There are some sunscreens with 4% hydroquinone. It is generally seen that cream low concentration such as 2% HQ are less irritating for the skin and are much effective than 4% HQ creams. Sometimes treatment of melasma on the face is so easy that it can be done by regular application of sunscreen. Sometimes it is as complicated as using creams which contain HQ, a phenolic hypopigmenting agent, azelaic acid, and retinoic acid (tretinoin), nonphenolic bleaching agents, and/or kojic acid. For severe cases, a higher concentration is prescribed with many other ingredients which add up to the effect. It is not that there is no risk involved in melasma treatment. People may complain about skin irritation and those who use highly concentrated ones may face a condition called exogenous ochronosis. In this condition, the skin turns dark when it is bleached. It is a result of using HQ more than 4%. It should be discontinued when ochronosis is seen first. But in spite of all these side effects, it still remains the most adopted remedy for the treatment of melasma on the face and is also successful in doing the job. The last suggestion is to consult the best dermatologist in mumbai for your skin at The Esthetic Clinics and stay sun safe.